Who can resist pumpkin cheesecake? 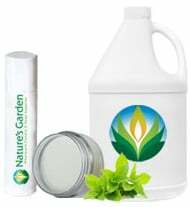 This fragrance oil by Natures Garden is the incredible aroma of cardamom, ground cinnamon, Vermont maple, pumpkin puree, carrot, whipped cream, rum, cream cheese, caramelized sugar, and French vanilla which is all blended to true perfection. Note: this fragrance oil is darker than most of our fragrance oils due to the aroma chemicals used to make it. 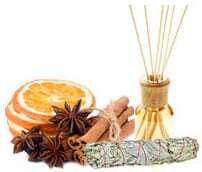 NG Recommended Fragrance Usage: Pumpkin Cheesecake Wholesale Fragrance Oil: The percentages listed below reflect our maximum suggested fragrance usage in the corresponding finished products. To review the actual IFRA Certificate of Compliance for this particular fragrance, please refer to the Fragrance IFRA Certificate link on this page. 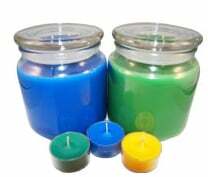 Candles Use 2 drops of orange plus a small amount of brown liquid candle dye per 4 pounds of wax or shred an ample amount of an orange & brown color block into your melted wax. Never use crayons to color your candles as they will clog your wick. Bath/Body Products Use orange & brown soap colorant in the amount that satisfies you. 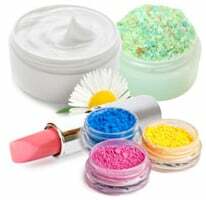 Never use candle dye in any body products. 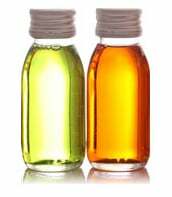 Fragrance Testing -Performance in Various Applications- Pumpkin Cheesecake Wholesale Fragrance Oil: Note: Our testing notes should never take the place of your own personal testing. Always test fragrance in all applications. We do not take responsibility for our test results differing from your test results. Natures Garden is not responsible for any finished products made with our raw ingredients. Cold process soap testing was done by our staff using strict controls. Stick blenders can help to incorporate fragrance back into the soap in the event that it rices during the mixing process. Soaping at room temperature can help to reduce the likelihood of accelerated trace. 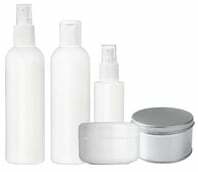 Fragrances containing vanilla ingredients may discolor soap. Vanilla White Color stabilizer may help prevent discoloration due to vanilla. However, there are more than 40 ingredients used in fragrance manufacturing that may contribute to discoloration of products. No acceleration, no ricing, no separation, discolors to a light beige. Good scent retention. This scent accelerated my CP soap (soaping at ~100F) quite a bit, so probably don't aim for any complicated swirls with this one. However, the scent is definitely worth the touchiness here! It smells deliciously awesome. I tried in CP soap and it did accelerate. Also, during the curing process it lost that wonderful smell. However, in my soy candles it has a very strong throw, love it ❤. Will experiment with MP. Good enough to eat! But don't. I loved this fragrance so much. I used it in my soy candles and it did so great. It smells good enough to eat. I tested it out today and it smelled up my entire house. Will purchase again. Excellent HT!!! Loving this fragrance and it is definitely a best seller even though its the start of the season!!! smells good from the bottle and M&P soaps but wash in the shower - totally different smelling more like turmeric, didn't smell anything like pumpkin to me at all! This is one of my best-selling wax melts of the fall. Customers love it so much I decided to make a cold process soap in it, but when I cut it the day after making it, it smelled like black licorice. Now, several weeks later, it doesn't smell like anything. It was a goat milk soap with real pumpkin puree in it, and I used NG's vanilla stabilizer with it, so I'm not sure if that's what caused it. Either way, I had high hopes for the soap but I was mightily disappointed. I will continue to use it for melts, though, because it is fantastic in those. Amazing cold and hot throw in my para-soy blend! This smells so amazing! It's a sweet, mouthwatering scent… I've made sugar scrub, salt scrub and body butter with it so far. It's a popular one! Don't change a thing! I just got this in today and I can't believe the amazing aroma that it has. I'm planning to start making candles very soon and this will be the very first sent that I launch! Thank you Natures Garden for always having the best FO!!! I generally hate pumpkin smells, especially oob, but my customers were all asking. After some research, I chose this one and boy, am I glad I did. It's sweet enough to off set the spice and just screams, "FALL!" A huge hit in my wax tarts. I'm going to order a bigger bottle.